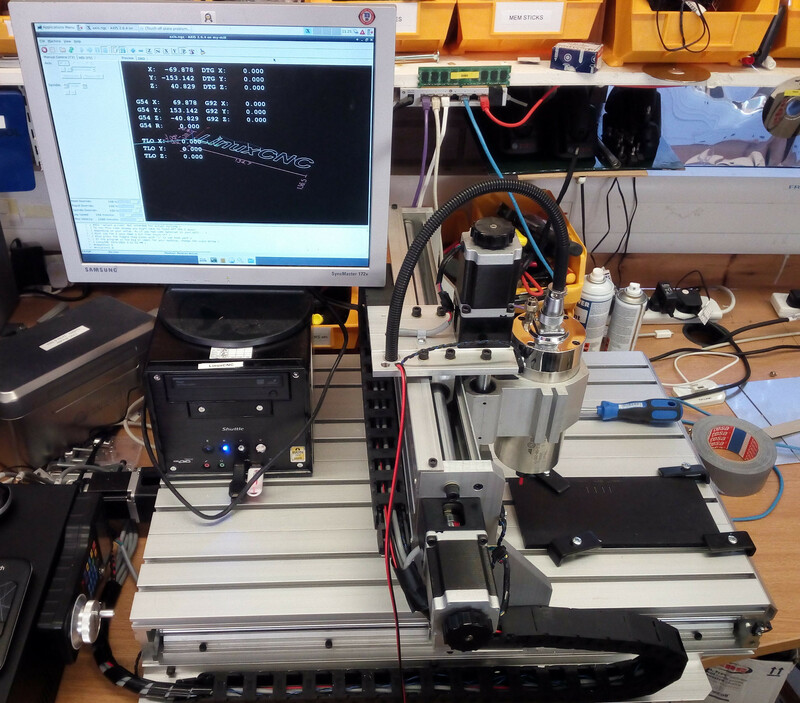 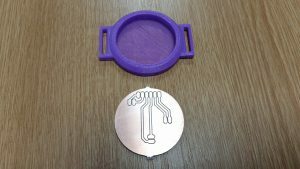 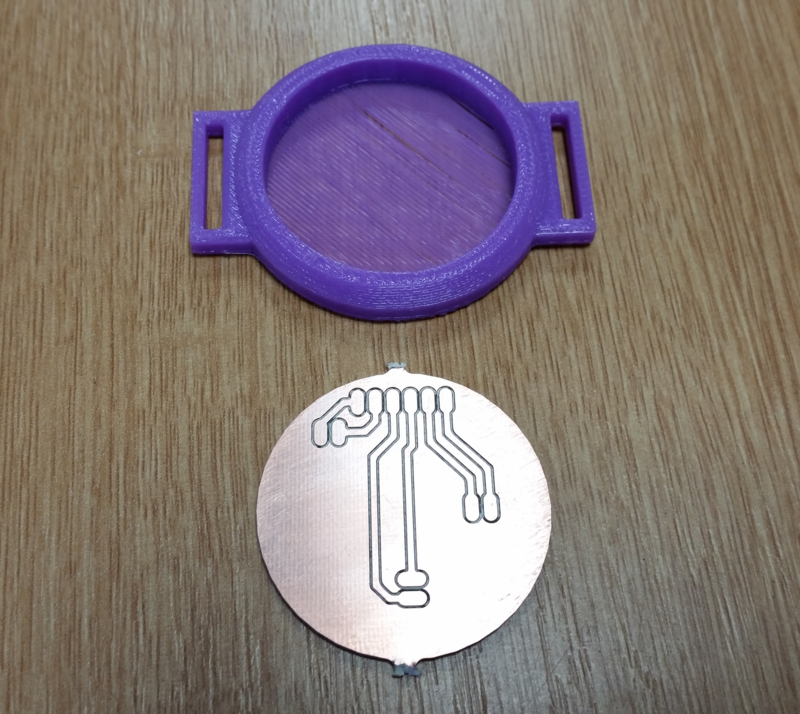 The first real test of the CNC Router milling a printed circuit board took place this week and the results so far are very encouraging. 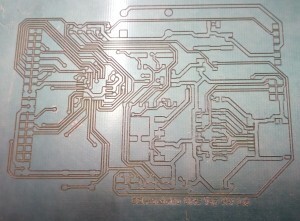 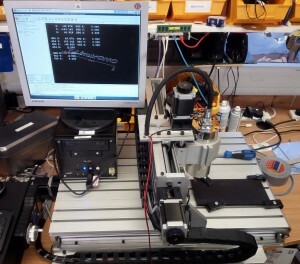 The PCB design is part of a suite of hardware required for a research project. 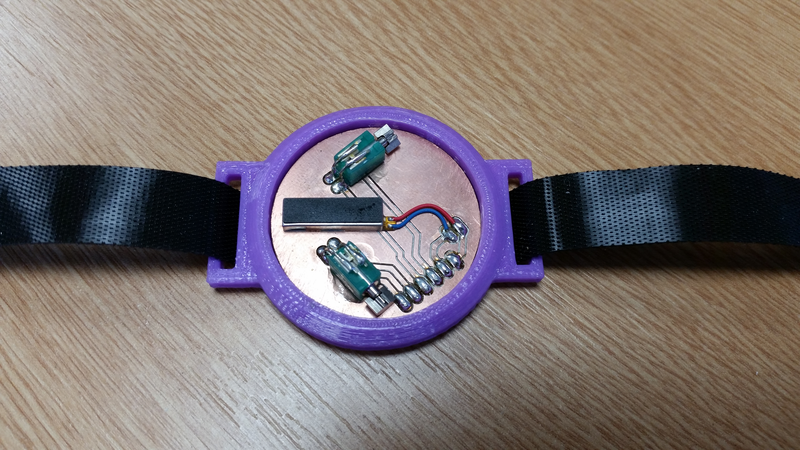 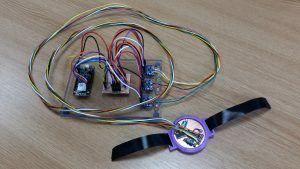 This involves the development of a Science grade Arduino we have called Scienceduino , it will be used to log analogue data with a high degree of accuracy and traceability , in terms of readings and time logging. 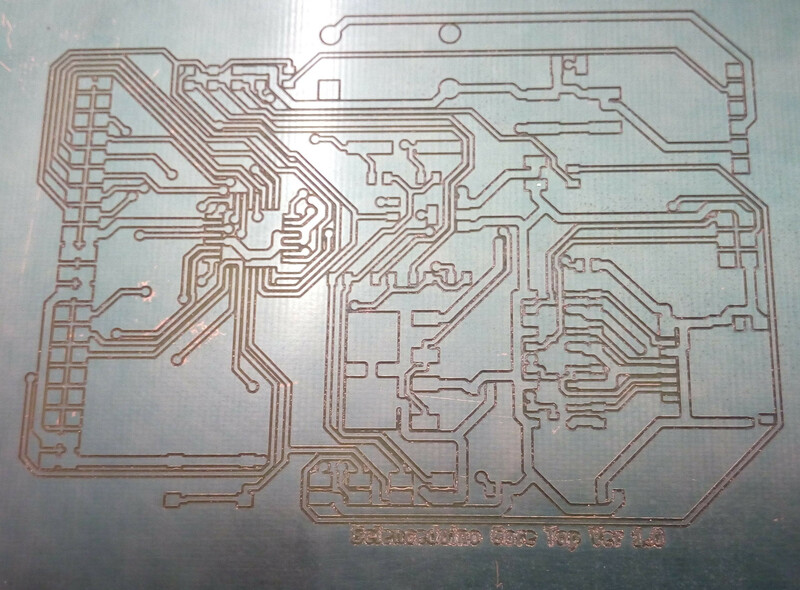 The picture of the complete PCB shows the complexity and general layout of the components , these will be mostly surface mount. Surface mount technology is being used to help reduce the overall size of the system and to allow automated manufacture. 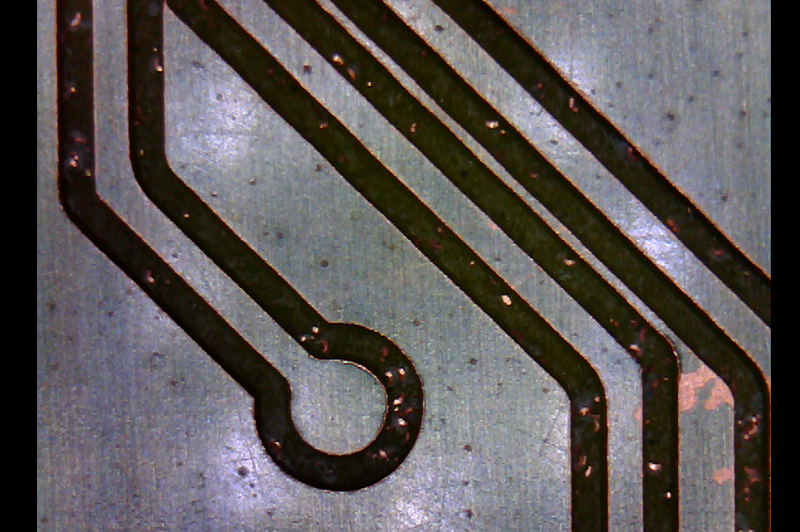 The microscope webcam picture shows a circular pad which is 1.0mm in diameter , track width of 0.35mm and track spacing of 0.35mm. 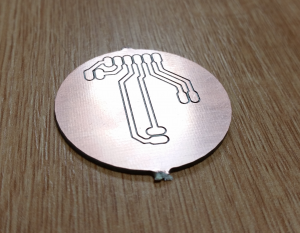 The copper flakes in the gaps on the PCB will be cleaned away with water and detergent. 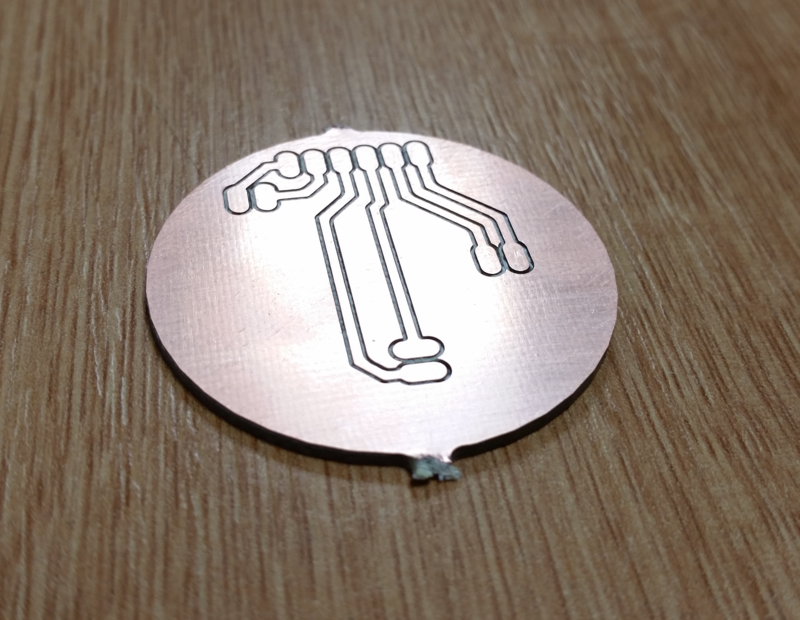 So all in all this is good news for the School’s ability to manufacture PCB’s for various research projects.